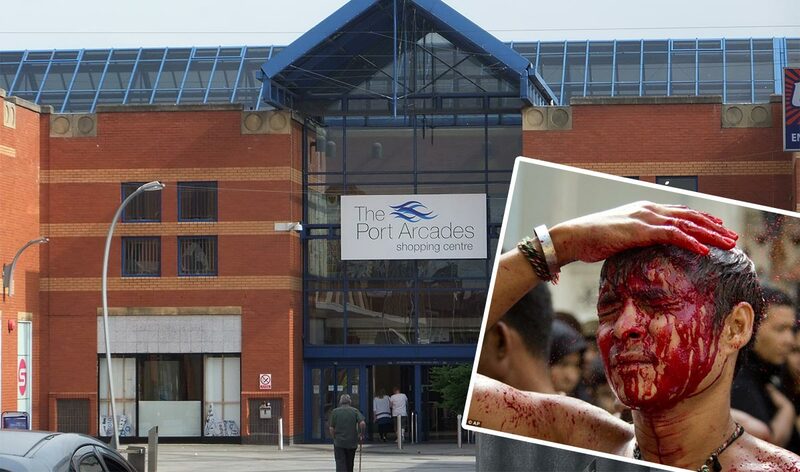 A peaceful bike protest turned into a bloodbath this afternoon after protestors and security guards clashed in Ellesmere Port. The bike protest, which was organised on Facebook, started around noon outside Poundstretcher and was planned to end peacefully near the market.The protestors wanted to stand up for their right to ride their bikes through the Port Arcades. However, the protest got out of hand as security challenged the protestors to leave with their bikes. The two sides began jostling with each other, before punches were exchanged. Before long an all-out brawl had erupted in the Port Arcades, with bikes, bags and even pushchairs being used as weapons. One man was seen cowering under a bench as security guards gathered around him, raining down blows as he attempted to cover his face. Another man was thrown through the window of Poundland in a struggle with Port Arcades security. It was horrific. I haven’t seen fighting like this since Black Friday, last Friday, in Asda. A battleground. People were using Xboxes as weapons. One man’s head was cracked open and the Xbox didn’t even dent. Microsoft’s undeniable build quality aside, it’s believed Grainger Games is completed gutted at this point. Ellesmere Port residents are advised to avoid the area as police have set up a 600 feet cordon around the Port Arcades while they try to contain the situation.